GTM collects data into its dataLayer from a web visit. 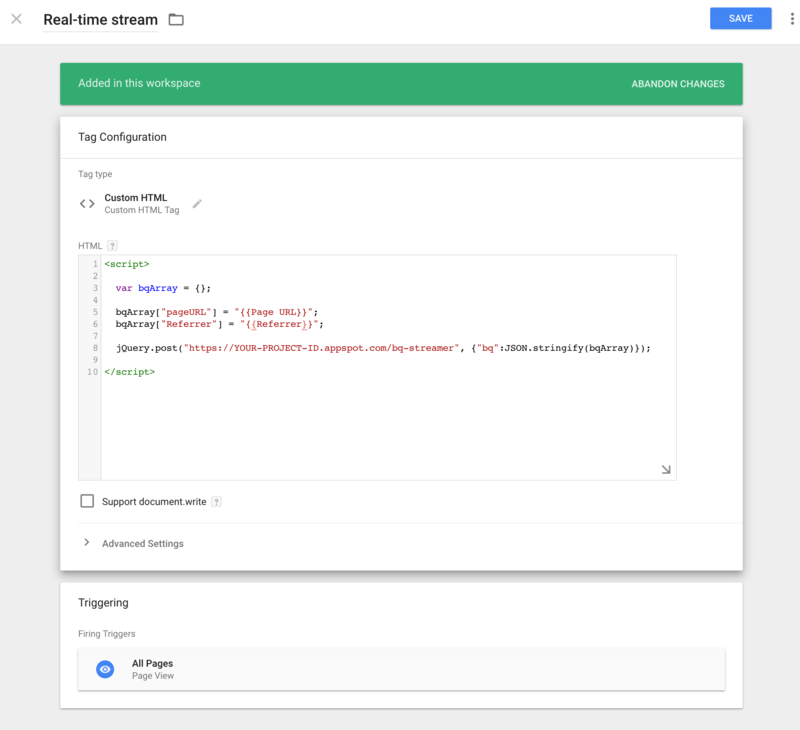 A custom HTML tag in GTM collects the data you want to stream then calls an App Engine URL with its data payload. The app engine URL is sent to a queue to add the data to BigQuery. The data plus a timestamp is put into a BigQuery row. The Shiny app calls Big Query every X seconds. A forecast is made with the updated data. The Highcharts visualisation reads the changing dataset, and updates the visualisation. 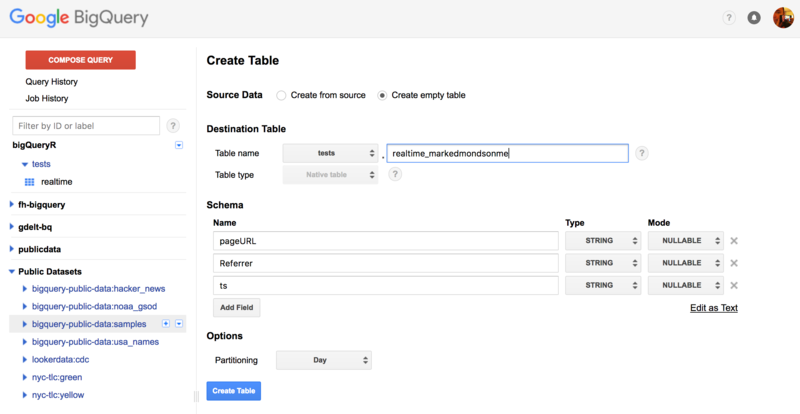 Starting with BigQuery, you need to create a project, dataset and a table where the data will stream to. The script we will use on App Engine assumes you have one field called “ts” which will hold a timestamp, other than that add the fields you will add in the Google Tag Manager script. Select “partitioned” table when creating, which is useful if holding more than one days worth of data. Next we get to the meat with the Google App Engine app. 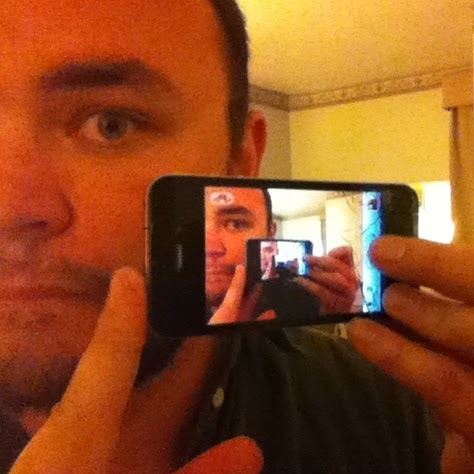 There is a guide on how to install and configure the app there too on its README. In this example the app both reads and writes the data to BigQuery, but in production this should be separated out to avoid hitting quotas. App Engine is useful in providing a way to run a script (in this case Python) whenever a URL is called, and also providing the infrastructure that lets you scale those hits from a free small amount to billions if you pay up. In essence we upload a Python script and tell App Engine to run the script when certain URL endpoints are called, and then we shall call that URL from Google Tag Manager with the data we want to stream. 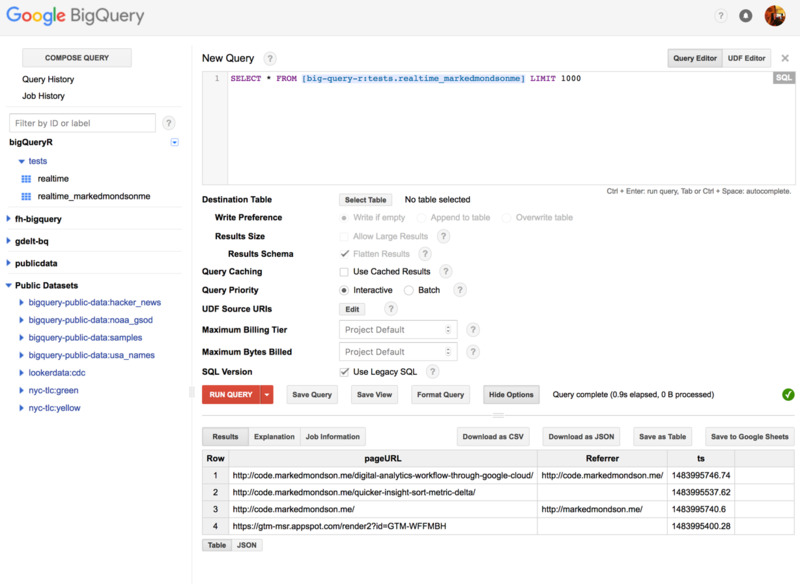 You can read more about streaming data into BigQuery here. # Reload the table to get the schema. The next class reads the data from a GET or POST request to the URL we specify later, and puts the job into a task queue, along with the timestamp. The task queue then reads the JSON data and calls the function to send data into BigQuery. App Engine task queues will rerun if any connection problems and act as a buffer, so you can configure them to suit the needs and volumes of your app. The full script uploaded is available in the Github repository here: main.py which also includes the read functions used in the next blogpost. With this script you then need some configuration files for the app and upload it to your Google Project. A guide on how to deploy this is and more is available from the Github repository README, but once done the app will be available at https://YOUR-PROJECT-ID.appspot.com and you will call the /bq-streamer and /bq-get URLs to send and get data. The app engine supports GET or POST hits, GET is useful for testing in the browser yourself but its better to POST in production as it supports more data. Add this as a custom HTML tag and deploy on a trigger that occurs after the data you want to collect is there. Thats pretty much it. Once the tag is published, make sure you have deployed the App Engine app and you are using the exact same field names as the BigQuery table. And thats it! You could now query this table from various solutions such as Tableau or Data Studio, but in part two of this post I’ll go in to how to query this table from an R Shiny application, updating a forecast and displaying using the Highcharts library.